Inviting Members to your Collaborative Workspace enables you to work with other Chalk & Wire users in the workspace. This guide will walk you through the process of inviting new members to your workspace. 2. Click on the Invite Members to Workspace button. 3. In the Sources column, locate and select the group that contains the Chalk & Wire users that you would like to add to your Workspace. 4. In the Members column, all users from the selected source will appear. 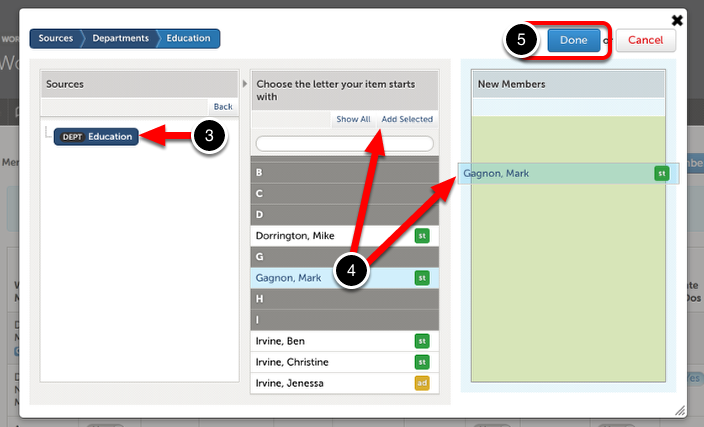 Select the ones that you would like to add (they will appear highlighted in blue) and click the Add Selected button. The users will then appear in the New Members column. 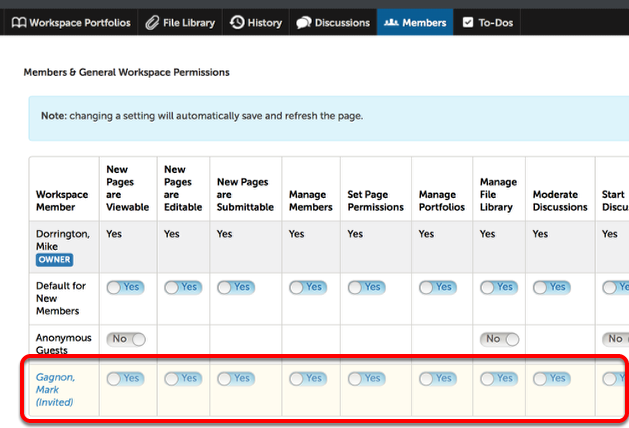 The new members and their workspace permissions will be added to the list of workspace members on the Workspace Members screen and will have the permissions that were previously set for the Default for New Members; you may wish to review your selections. 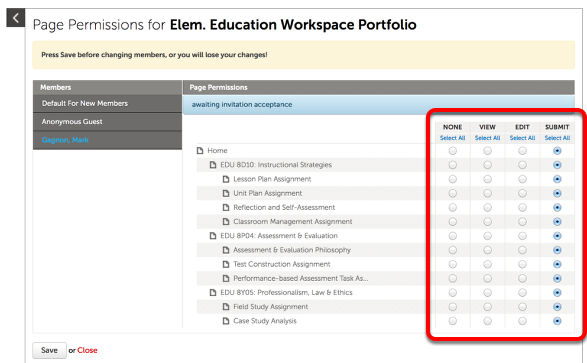 The new member(s) added to the workspace will have the portfolio permissions that were previously set for the Default for New Members; you may wish to review your selections.